4k00:08Aerial top view waves break on dark rocks near beach. Sea waves on the dangerous stones aerial view drone 4k shot. Bird's eye view of ocean waves crashing against an empty beach from above. 4k00:16Drone footage. Thailand. Koh Phangan island. Haad tien beach. 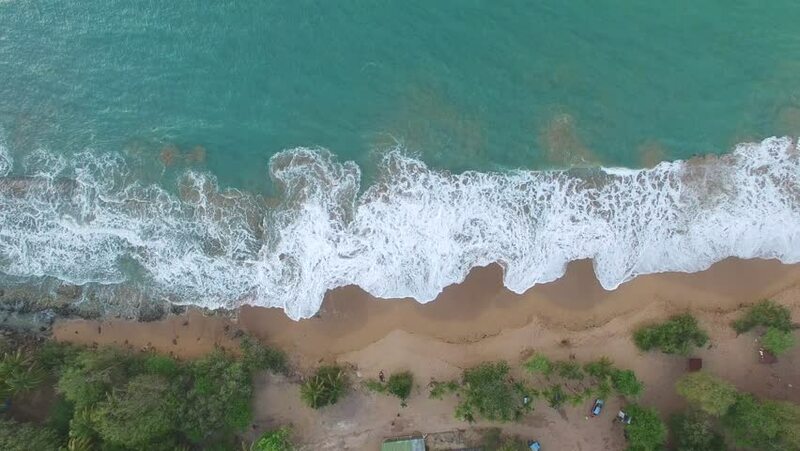 Top view aerial video of beauty nature landscape with beach, sea and jungle. 4k00:29Bora Bora, French Polynesia circa-2018. Locked off slow motion aerial view of ocean waves crashing on reef, Pacific Ocean, Bora Bora.